Who is Four County Little League? Four County Little League is a Mount Airy, Maryland-based chartered member of Little League International and provides a program of instructional and competitive baseball for kids ages 4 to 15 with several divisions to accommodate many age and skill levels. Our goal is to not just create competitive baseball players, but also teach life lessons, community commitment, and citizenship through the great sport of baseball. 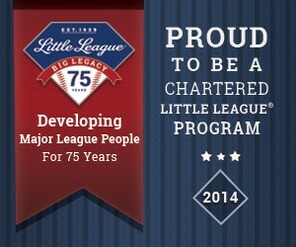 We are a part of Maryland District 2 Little League, and our league consists of players from Montgomerry, Carroll, Frederick, and Howard Counties. Though we have fields located in the heart of Mount Airy, we also have a few others located in various places inside our league boundaries. We are a dedicated member of the Positive Coaching Alliance and commit our managers and coaches to teaching to the Double Goal Coach and the Second Goal Parent Philosophies. This all leads to the Triple Impact Competitor.